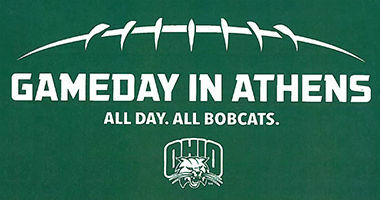 The Ohio University Women's Club of Greater Cleveland and the Akron Association of OU Women are alumni chapters that welcome all women with a love for OU, whether they are graduates or family/friends of graduates. Check out these fall events just for women! September 23 -- 5 to 7 p.m.
All alumnae on the west side are invited to Bar Louie in Westlake's Crocker Park for a meet and greet happy hour organized by the Ohio University Women's Club West section. Enjoy discounted appetizers and drinks bar until 7 pm during this informal opportunity to get to know each other in a fun setting! For more information or to RSVP, please contact Valerie Gates at valeriehillow@gmail.com or visit https://www.facebook.com/events/410519275805275/. September 26 -- 9:45 to 11:45 a.m.
For more information, please contact Ann Cousins at kndgmom@sbcglobal.net. September 30 -- 5:30 to 8 p.m.
Come out with your fellow Bobcats for a fun and laid back get together at Thorncreek Winery in Aurora! This event is a great chance to catch up with those ladies of all ages who share your love of Ohio University over great wine and food. All are welcome and we hope you can make it! The Northeast Section of the Ohio University Women's Club invites all alumnae to a potluck lunch and book discussion at noon on October 6. Please RSVP to the hostess, Mattie Whittaker, at 440-352-3252. October 26 -- 6:30 p.m.
Join members of the Southwest Section of the Ohio University Women's Club at the home of Karen Shallcross for a Halloween Party with White Elephant Gift Exchange. Please bring an appetizer to share. For more information and to RSVP, please contact the hostess, Karen Shallcross, at kshallx@prodigy.net or 216-524-0863. November 7 -- 11 a.m. to 2:45 p.m.
All OU alumnae and friends are invited to the OU Women's Club's annual Fall Brunch and Fantastic Auction! This award-winning annual event is always a great opportunity to do some early holiday shopping and support the club's scholarship fund. The 100th Bomb Group is a unique venue with a World War II theme. For more info on this cool venue, which is conveniently located across from Cleveland Hopkins Airport, visit www.100thbgrestaurant.com. 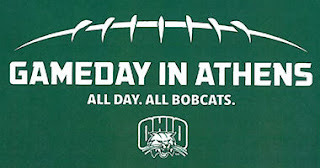 RSVP: Online registration is available via the Ohio University Alumni Association's Web site: http://bit.ly/OUWC-Fall2015. Questions? Contact Valerie Hillow at valeriehillow@gmail.com. The Akron Association of Ohio University Women invites alumnae, family, and friends to its White Elephant Fundraiser Auction at Wolf Creek Winery in Norton. Proceeds from the event will go to the club's scholarship fund for students from the Akron area who attend Ohio University. Participants are encouraged to bring their slightly used and unwanted household items or accessories to be auctioned off. Abundant appetizers will be served. Wine, beer, soda and water can be purchased. Bring a friend and come share in the fun and help support future Bobcats!